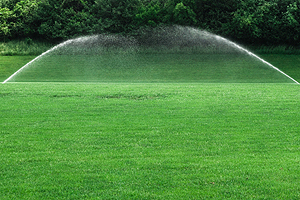 Commercial Irrigation & Turf offers the best oscillating sprinkler Champaign IL homeowners want for their yards. Our oscillating sprinkler solutions evenly spread water all around your lawn. In fact, this type of sprinkler works like a fan in that it moves back and forth, spraying water. Jets inside the sprinkler move around and release the water to ensure equal coverage to your green spaces. 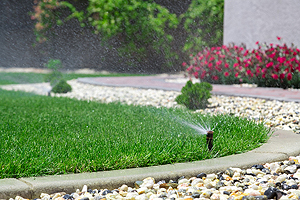 In order to get your oscillating sprinkler or other superior lawn irrigation solutions, contact Commercial Irrigation & Turf. We have served as Central Illinois’ industry leader in irrigation for more than 30 years. Call us now at 217-398-1494 or contact us online for a quote on an oscillating sprinkler system. Commercial Irrigation & Turf can provide an oscillating sprinkler Champaign IL locals choose for many advantages. First, our oscillating sprinkler solutions work as a great watering option for newly seeded portions of gardens. In addition, they efficiently water medium to large lawns. Since you can adjust the pulse pattern, oscillating sprinklers can reach both near and far sections evenly. In fact, they perform well without relying on a high-pressure release that could harm newly-grown plants. Because of the even watering patterns, you can rest assured your yard will not develop dry or dead patches. Additionally, oscillating sprinklers assure you do not overwater, preventing puddles and seedlings from being dislodged. Sure, Commercial Irrigation & Turf can provide the oscillating sprinkler Champaign IL gardeners want, but that’s not all. We offer drip irrigation systems, other lawn irrigation systems, commercial irrigation, irrigation repair and we even winterize your irrigation. Put our more than 30 years of experience as irrigation industry leaders to work for you. Commercial Irrigation & Turf can deliver the even watering an oscillating sprinkler Champaign IL clients prefer to your yard. Avoid brown patches and keep your yard lush and green with us. Call Commercial Irrigation & Turf today at 217-398-1494 or contact us online for more information on oscillating sprinklers. In addition, we are located at 206 N Randolph Street in Champaign. 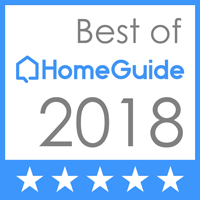 Are you looking for oscillating sprinklers outside of Champaign? That’s okay. We routinely sell and install solutions to customers in Peoria, Pekin, Galesburg, Bloomington, Springfield and throughout Central Illinois.